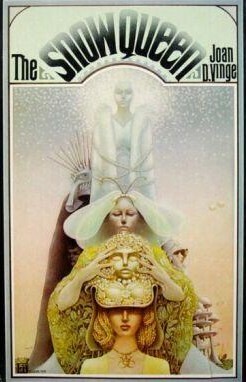 Before I became a regular reader of the Tor.com blog, I had never heard of D Vinge’s novel The Snow Queen. More and more often I found it cropping up in articles I was reading on the site, often praised as a classic with a great villain. Then I discovered it won the Hugo Award in 1981 and was nominated for the Nebula in the same year. Well, colour me curious! If you manage to push past the unbelievably camp and OTT cover (or if you happened to pick up a cover with Whelan’s art), you will find a very dense piece of world building. While the world Vinge creates is unusual and interesting, the novel is laborious to read. It is full of long expositional passages, clichés and unsophisticated dialogue, as well as cardboard cut out characters. 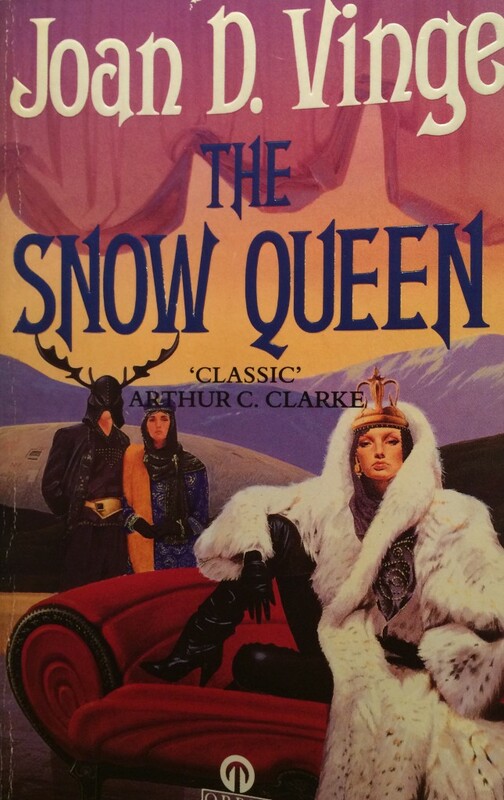 While The Snow Queen could have been a truly great villain, we never really get a good enough picture of her to make a lasting impact on the reader. The one and only reason I continued to read this sizeable novel to the end was for the world building. The world of Tiamat is fairly primitive, with only the technology the galactic empire known as the Hegemony grants them use of. The planet’s orbit creates two distinctive cycles, known as Summer and Winter. With each change in the orbit, bringing on the next weather cycle, a new Queen is enstated to rule over the world. During Winter, the Hegemony allows Tiamat access to their tech while pillaging the ‘water of life’ through the slaughter of native animals. When Summer arrives, the Hegemony leaves, taking with them all their tech. It is coming up to the end of the Winter Queen’s rule and she is determined to escape her fate – the ritual where one queen is killed and a new one inaugurated. She creates a number of clones in the hope of using them to reincarnate herself as the Summer queen. Her clone, Moon, becomes a strong woman in her own right, however, and proves more than a match for the Queen. When Moon is accidentally taken off world, she learns more about the Hegemony and the unfair practices towards her people. She returns to Tiamat to rescue her lost love and bring justice to her world. But will the Winter Queen bring devastation on Tiamat before Moon can stop her? This is a serious problem for a lot of SF writers. How do you build an incredible world without just exposition dumping everywhere? Seriously, how? 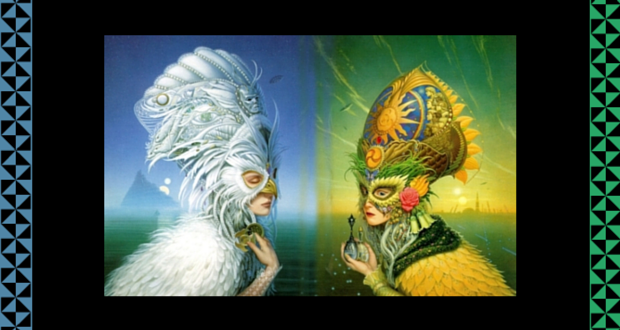 The structure of the society in The Snow Queen combined with the different species present and technology available, are all incredibly complex and diverse. I am not sure how Vinge could have elaborated on these elements without being so heavy handed. And while I would want her to keep the fabulous world she’s created, I don’t want her to have to explain it to me so much. I’m not asking too much am I? To Vinge’s credit, she does at least change up the form in which the exposition dumps arrive. There’s long-winded internal monologues, third-person narrative, and exceedingly patronizing dialogue. But exposition dump is exposition dump no matter how you flavor it. Sure, some exposition in a book like this is probably inevitable, but there are many more sophisticated ways to include this information. Most of the characters in The Snow Queen are either uni-dimensional or bizarre. The Queen is potentially a very intriguing character – I mean let’s face it, she has a great case for having the reader sympathise with her – she is about to be ritually murdered, wouldn’t you be trying anything to avoid that too? Sure, genocide is not the best way to go about it, but her motivations for that are understandable. Meanwhile, her motivations and pettiness in every other aspect of her reign is given little explanation, if any. The ‘love story’ between Moon and her cousin, Sparks, is something that runs through the entire course of the novel. But I just couldn’t get on board with it. Sparks abandons Moon because she had ambition and was successful where he wasn’t (sore loser anyone?!). On top of that, he ends of shacking up with another woman (the Snow Queen) just because she looks like Moon, the lover he lost. He then performs unspeakable acts and manipulative crimes to keep his new lover happy. Despite all this, Moon insists that she loves him and could never love another. WHAT?! 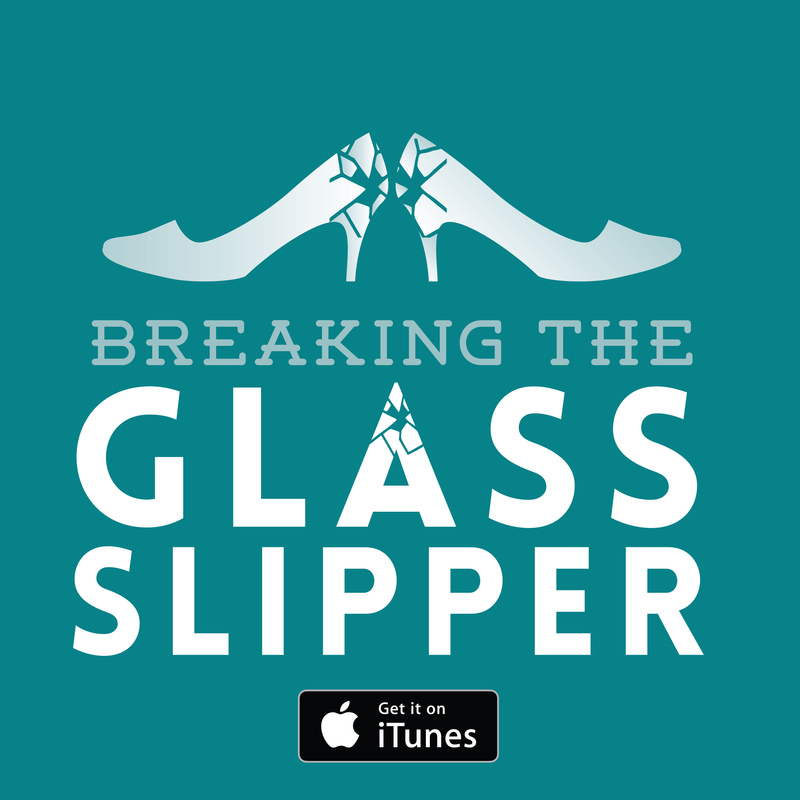 And at no point is there any comment about how this might not be such a great thing – a kind of complex that someone develops from being in abusive (or less extreme, one sided) relationships. It seems in this world that most people don’t go after what they want. We are fobbed off with vague comments about culture and expectations. I’m sorry, but that’s just not enough for me. I need characters with a little more drive than that. Verdict: Very much a product of it’s time. The Snow Queen is never truly bad, but the writing is often naïve and a little under-cooked. 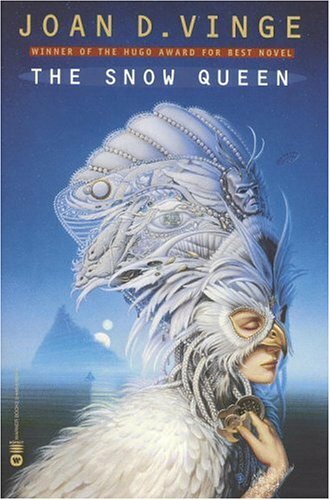 While the characters are either unappealing or under-developed, the world Vinge creates is fascinating. Unfortunately, she didn’t manage to create a page-turning story to go along with it. ]sed original hardcover “Summer Queen” as it was available at our book outlet sales store for our public library. I believe I read that too, but will enjoy rereading it and maybe have to go back and read The Snow Queen again.